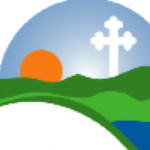 Ancient Faith Radio and the Antiochian Village have partnered together to bring you recordings of lectures and updates from this beautiful retreat center operated by the Antiochian Archdiocese. If you are planning a retreat for your group, be sure to contact the Antiochian Village and learn about their facilities and accommodations. Author and speaker John Granger at the Orthodox Home Schooling conference. More information on John Granger can be found at the Orthodox Speakers Bureau.